As with impression of love, motivation and warmness, red is often a good choice for wedding gift box, and here is one very well designed with plastic rose ribbon to bring the happiness for such a great moment. 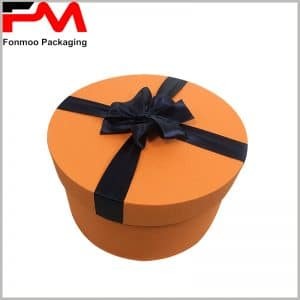 Gift, candy, or memorial object, this box is a good choice for many things and will certainly make people happy with its own design as well as with the content inside. There are two choices of printing solution: either you can demand to print the content on the surface of the box, or make a label with CYMK printing and attach it onto the box, certainly, the latter one is more flexible for production of large scale. It is not sealed, as to make it convenient for guests to take the candies or gifts inside at once. Made of 300g cardboard, 60g leather paper with tiny red motifs, plastic rose and ribbon, this box is an ideal choice for wedding or other ceremonial events. 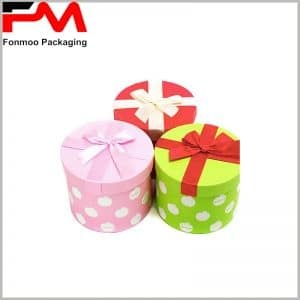 If you have other demands for customizing your packaging box, do not hesitate to contact us and tell us what you need. 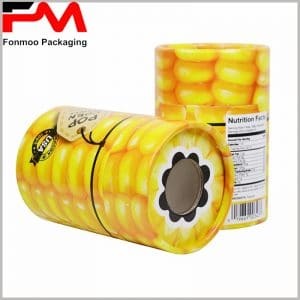 With a professional team, we are always ready to fulfill your demands with our rich experience in fabricating tube packaging boxes, for wedding gift or other products.